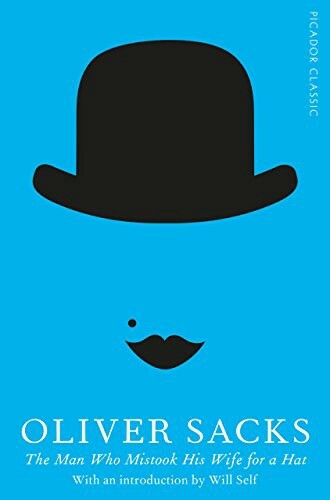 I have been looking forward to read The Man Who Mistook His Wife for a Hat’ for more than a year. Somehow, it had never made it to my “Currently Reading” list. The death of its author, Dr. Oliver Sacks, a neurologist, prompted me to actually start reading it. According to the author, there has been a serious dearth of good medical case writing in the 20th century. He refers back to the 19th century which was the heyday of such writing. What sort of writing are we talking about? The author wants to add back emotions and identities, instead of making cases impersonal. People who have read Sherlock Holmes or other literature (fiction/non-fiction) from the 19th century will be able to recognise such writing — for e.g. — referring to a patient as Johnny G or Dr P.
This book deals with some neurological cases with emphasis on right brain defects and deficiencies. There are 24 different topics that the book covers. These include some made popular by movies like Kursakoff’s syndrome in Memento or Autistic Savants in House of Cards. These topics have fanciful names like “The Lost Mariner” and “The Disembodied Lady” etc. I have to confess — much as I wanted to like this book, I found it a chore to read. In the end, I stopped midway due to the sheer drudgery involved in going through the indecipherable prose as well as the incomprehensible medical jargon. Either of the two would have been fine on its own; but their combination makes for dull reading. The author cannot seem to make up his mind — is this a book that talks about these cases from an entertainment perspective or is this book a medical text. If the former, then it fails at holding the reader’s imagination and does the cardinal mistake of interjecting a lot of serious medical terms. If the latter, then the book fails at presenting the facts, the diagnosis and the conclusion. Get this book on Amazon. Originally published at Digital Amrit.